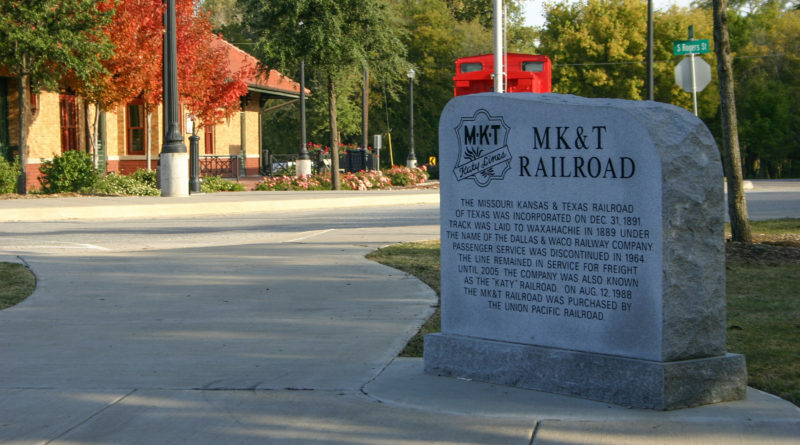 Railways and small towns go hand in hand. Without the rail lines, goods were few and far between and many became ghost towns. They played an integral part in forming our landscape into what we see today. 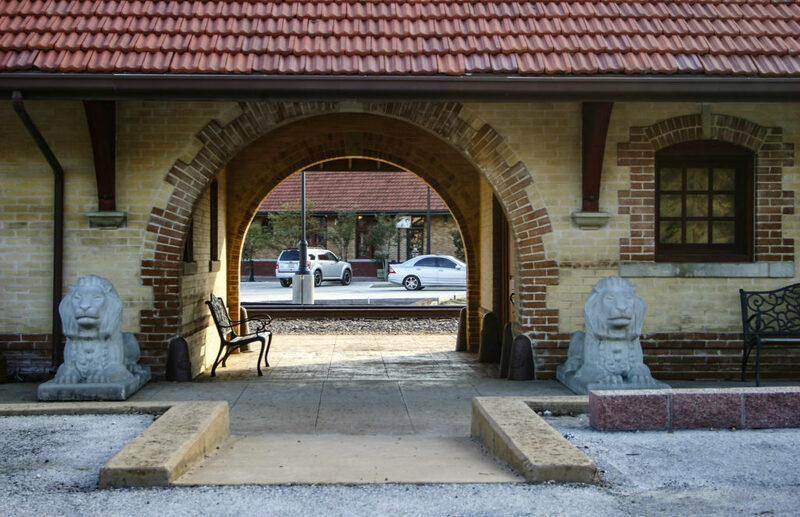 It is always a thrill for me to see one of these little stops preserved. 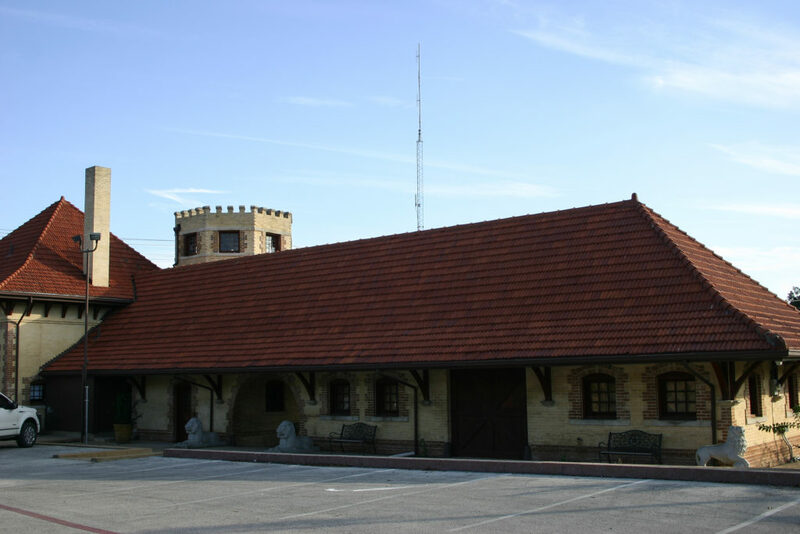 I can just imagine the bustling of the community anxiously waiting for that first train in 1908. 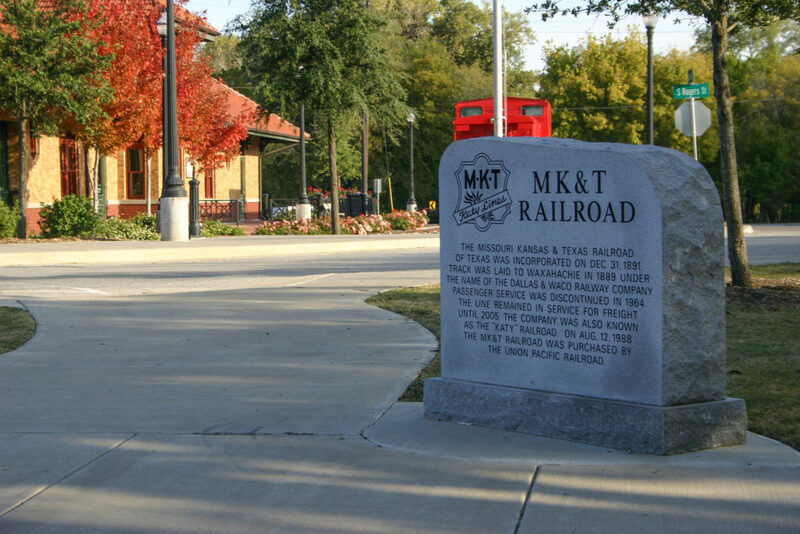 The MK&T Depot was a tiny stop along the Missouri-Kansas-Texas rail line for many years. 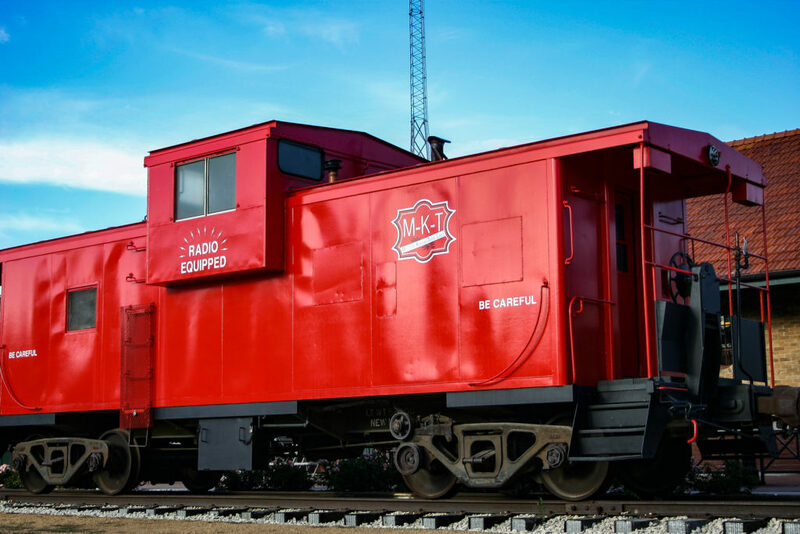 It hauled mostly locally grown cotton to markets and local soldiers to and from several wars. 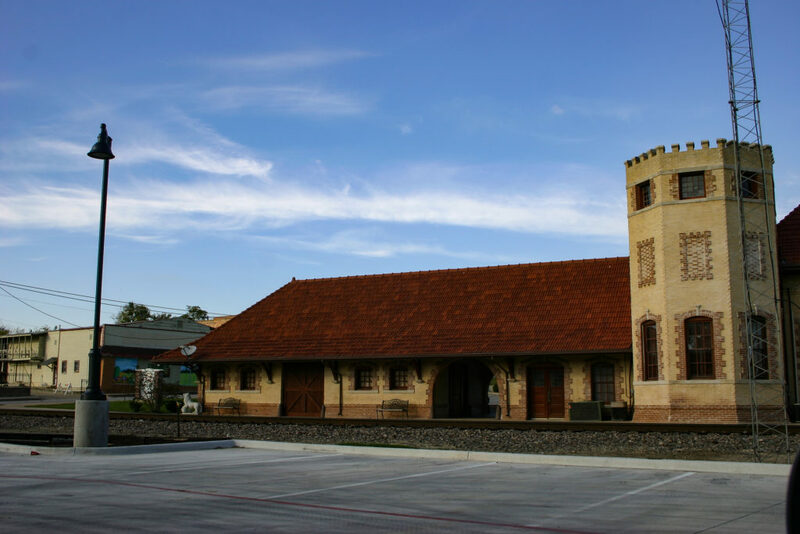 Although the depot continued to service freight trains on their way through Waxahachie until 1988, passenger service was discontinued in 1968. 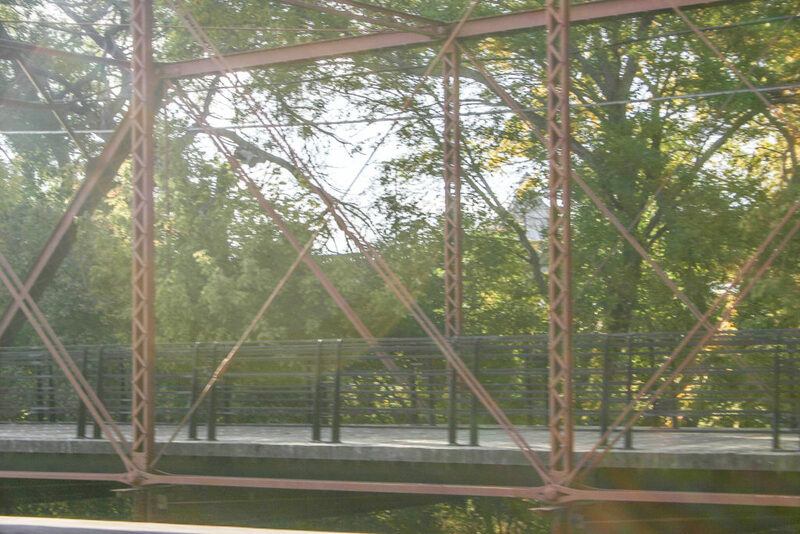 One of the most recent items carried by train was manufactured by the Wrought Iron Bridge Company in Canton, Ohio. 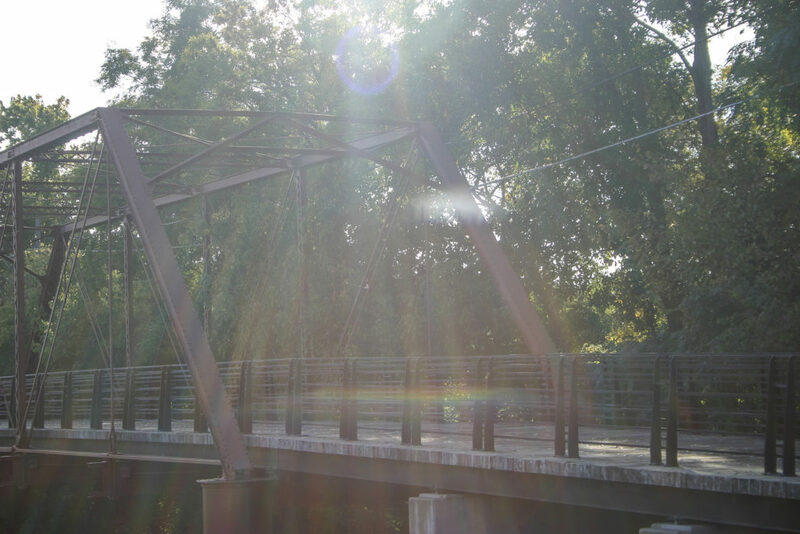 The historic Rogers street bridge was shipped in pieces and then built onsite to become part of the Waxahachie Creek Hike & Bike Trail. The City completed the restoration of the station and grounds in November of 2010. We were unable to go into the museum due to the hours, but the building and surrounding area were quite interesting.